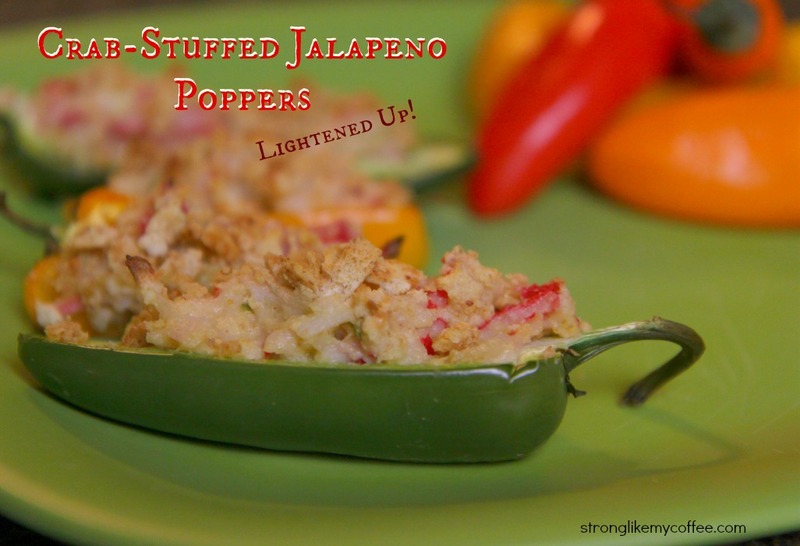 If you are experiencing the extreme-cold weather as I am, you will appreciate these spicy Jalapeno Poppers! And by “extreme cold,” I don’t mean the 55 degree weather that Southern Californians are in a tizzy about….. I’m talking negative degrees, bitter chill, freeze-your-face-off extreme cold. We made these as a fun appetizer, and if you don’t remove all of the seeds and membranes, your mouth will be on fire! These little poppers are “healthified” by substituting whole grain cracker crumbs and Greek yogurt. Wash and cut jalapeno peppers in half, length wise. Scrape out seeds and membranes to reduce the heat, and set them aside. In a large bowl, combine crab meat, greek yogurt, egg yolk, green onions, mustard (plus and salt and pepper to your liking). Pour in 1/2 of the cracker crumbs. 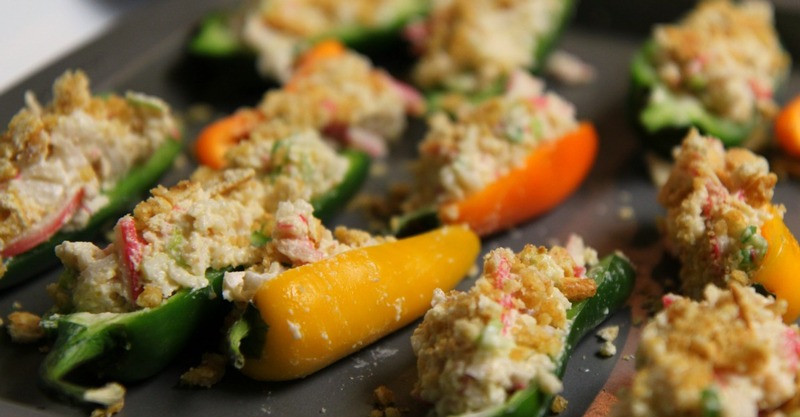 Spoon the crab mixture into the Jalapeno “boats” and place on an ungreased baking sheet. In a small bowl, mix the remaining cracker crumbs and parsley into the melted butter. Spoon this crumb topping over the Jalapeno Peppers. Bake at 375 degrees for 20 minutes, or until the top is golden and crispy. 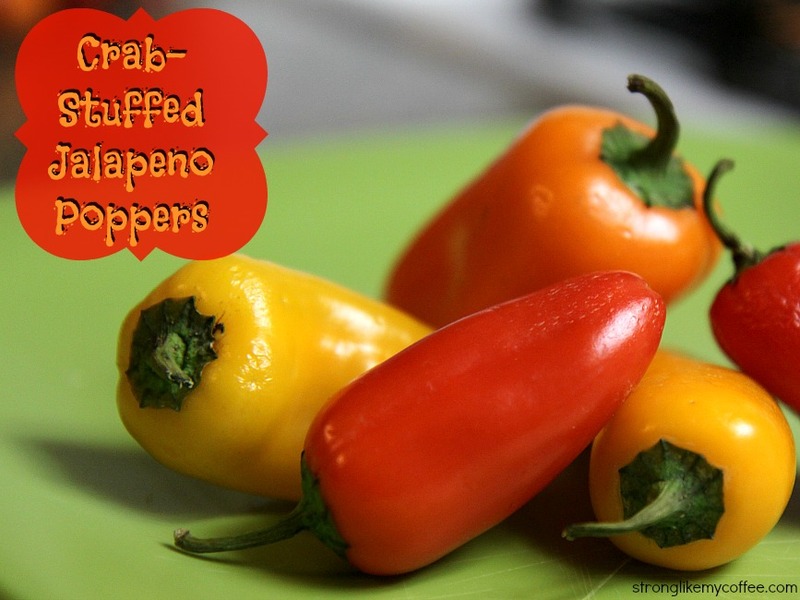 Posted on January 15, 2013, in Main Course, Uncategorized and tagged appetizer, crab stuffed jalapeno poppers, healthy, recipe. Bookmark the permalink. Leave a comment.